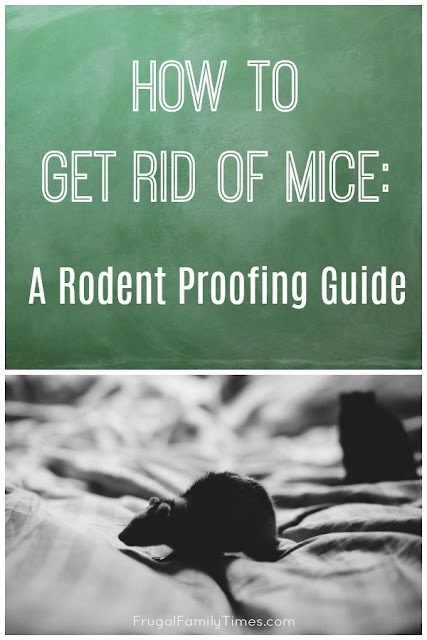 So you're researching for rodent proofing tips? Ug. I feel your pain. Just typing that word and I hear the scurry of their little mouse feet. I just hate having free range rodents in the same space where I eat, sleep and generally live. When we added the second floor, our house was a construction site and open to the little devils so naturally, they moved in while we were moved out. When the work was complete and we moved back in, it became apparent we were not alone. Our cats earned their keep, but there was also extensive rodent warfare I had to engage in to truly get rid of them all. When we bought our river property (you know our Mobile Home Makeover), there was a full-on mouse highway in one wall. It led, of course, directly into the kitchen cupboards. Did I have to open a wall up to deal with some of this? Yes, I did. Totally worth it. Our log cabin bunkie was overrun, too (technically this time it was squirrels) - causing us to have to tear down the ceiling and make repairs before making it beautiful with a DIY shiplap ceiling and a wood faux beam. Everyone seems to have their own secret recipe for dealing with mice and I know this because I think I've read 90% of the things on the Internet about dealing with mice. There were several common themes that began to emerge as I read. I did all of those things. We now have a clear idea of what works for rodent proofing (and what doesn't), so let our experiences be your guide. steel wool The coarser the better! Mice hate chewing the stuff. 1) Locate all possible mouse entry points into your house. I can't stress this enough: Just killing the mice you have, while extremely satisfying, isn't a solution. They will be replaced by more mice through whatever hole the first generation used. Sealing these holes is not an easy step, but it is by far the most crucial. 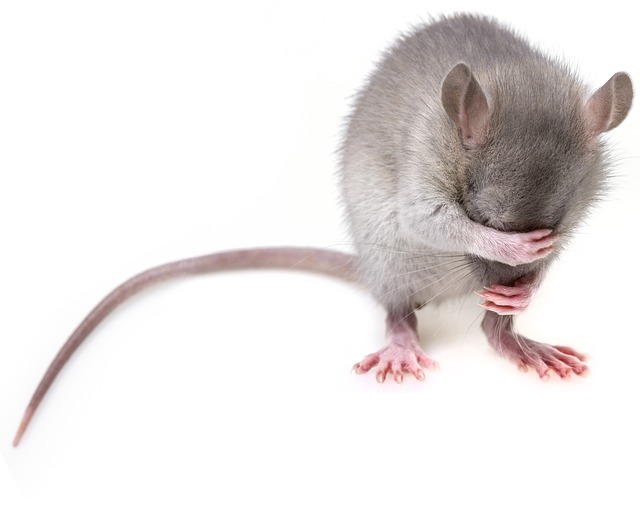 Done correctly, you will never get mice in again unless you buy them at a pet store. Start by walking the perimeter of your home. Check out all the pipes, electrical, plumbing, gas, windows, doors - really any spot that presents an access point into your home. Look for gaps or spaces - anything bigger than a dime is a door to a mouse. A DIME! They are the worst. 2) Seal up those mouse hole gaps. a) I've used a combination of steel wool , caulked into place for small holes and rodent mesh that you need to staple in place for large gaps. b) I've then followed that up, on occasion, with some spray foam to lock the metal barriers in place and provide some insulation to boot. Mice are persistent, so imagine an army of little zombie minions pushing and chewing on whatever barrier you install. This mental test is pretty close to what the actual rodents will be doing. 3) Remove the Rodents you already have. I won't judge how you do this. There is not a global shortage of mice and they do carry disease and other garbage (and sometimes literal garbage). They walk everywhere and poop constantly. Terminate in whatever way you desire. 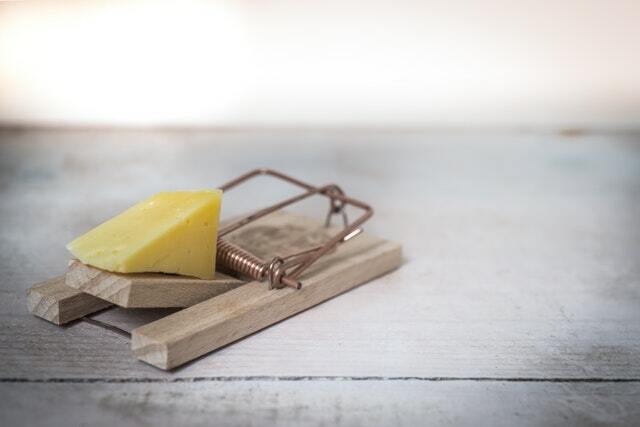 The classic baited trap is pretty good (no matter what people say about building a better mouse trap). If your cat still has alpha-predator instincts, they will be awesome too. I've even used the unconscionably cruel glue traps . I'm a monster. I don't care. If you are a caring, live-and-let-live individual, there are humane, catch-and-release traps available too. Let your conscience be your guide. 4) Add in deterrents against future mouse infestations. These alone generally don't drive mice away if they already live under your roof. But once your house is free and clear, they can provide a little insurance towards preventing them from moving back in. These devices broadcast a sonic frequency that is unpleasant to rodents little ears. People have varying success with them - we have some that came with our property and use them now that the place is sealed up. While safe for dogs and cats, if you have actual rodent pets, this will be like a constant mosquito buzzing in their ear and they likely won't appreciate that, so keep this in mind if you're buying them. The one that does seem to have some science around it is Predator Urine scent. It seems a bit extreme to buy canine-family pee when our dog dispenses so much for free, but this does allow you to target it in the mouse entry areas and make them even less inviting. I've already mentioned this a couple of times, but after our renovation, our cats killed more mice than all our traps. They're like a trap that doesn't just lay around and wait for the mouse to come to it. If you don't have a cat - maybe you can pet sit? 1) ONLY using Dryer sheets, mothballs, Tea Tree, Urine, whatever spray deterrent you can buy. Most mice apparently find these merely annoying and if they have a sweet setup already, they are unlikely to move. Get rid of the mice first, then buy the keep-away smelly stuff. 2) ONLY using electronic deterrents. As mentioned, our river place came with a bunch of these. They were plugged in everywhere and buzzing away supersonically. We still had armies of mice. 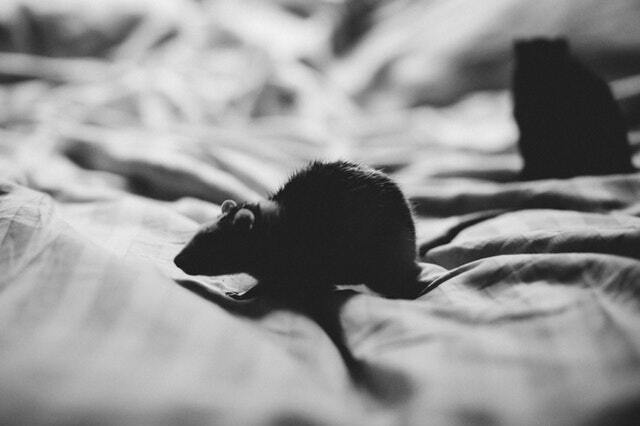 They do not work on mice that are already living with you. 3) Halfhearted attempts to seal up your home. Mice will use their whole hearts to force their way in. You must plug every hole and you must plug it in such a way that they can't push, chew or squeeze their way in. Spray Foam alone usually isn't enough (I think they view it as popcorn or candy floss). Metal barriers (Like the aforementioned Steel wool or Mesh) are your best bet. Be sure to secure them in place with enough staples, caulk and angry determination that the mice will sense your fury and not even try to go any further. I'm only halfway joking here, folks. 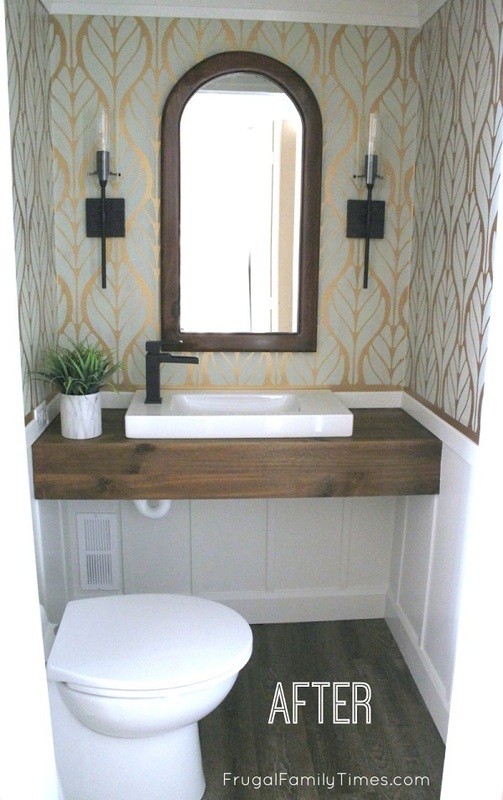 We got most of our vast rodent experience from dealing with mice and squirrels at our weekend retreat - check out all our projects our Mobile Home Makeover series. I sure hope you're not dealing with a musty smell, too? But if you are - we've got ideas to help you get rid of musty smells here.